From my point of view, a floral print is one of the most perfect prints for spring and summer outfits. 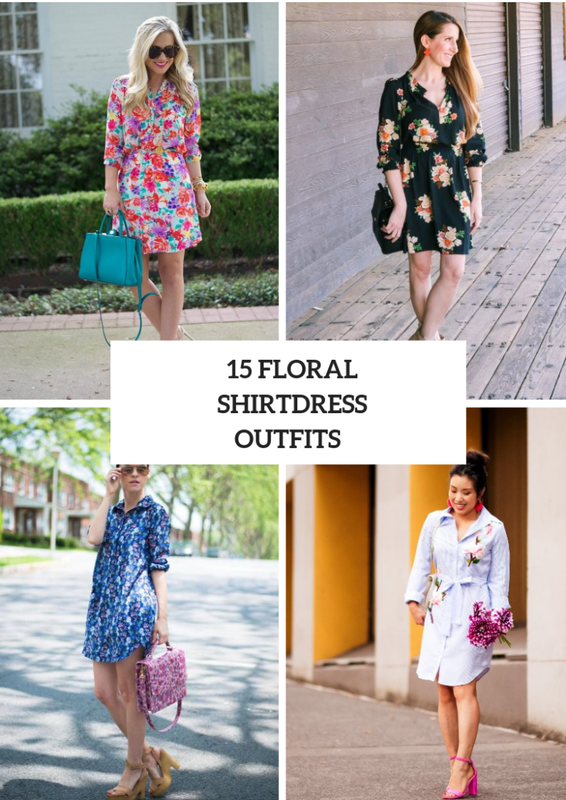 So you can take any floral pieces of clothes, and voila — your look will be so fresh and feminine! 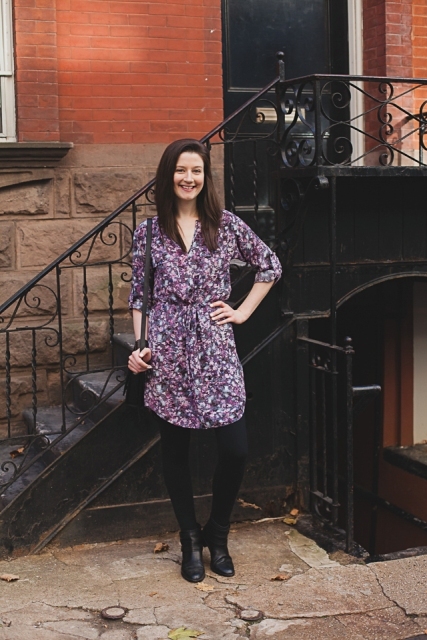 Today I want to pay your attention to floral dresses such as shirtdresses. No doubt they are comfy to wear, easy to combine and very universal. All you need is to pick up a length of your new item (from mini to maxi ones) and a color combination. Right now you can scroll down and see all ideas. 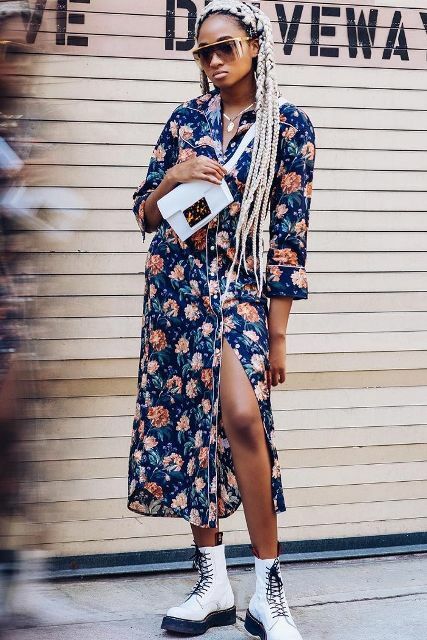 If you want to create a cozy and relaxed outfit, then you need to get a light blue midi shirtdress with tiny red flowers and mix it with a beige long cardigan, a brown leather bag and white sneakers. But if you wanna turn your look into a fashionable one, then you should take a printed midi dress and pair it with a white waist bag and white lace up mid calf boots. For a more elegant outfit you can get a mini shirtdress and combine it with a brown leather bag and beige leather lace up flat shoes. 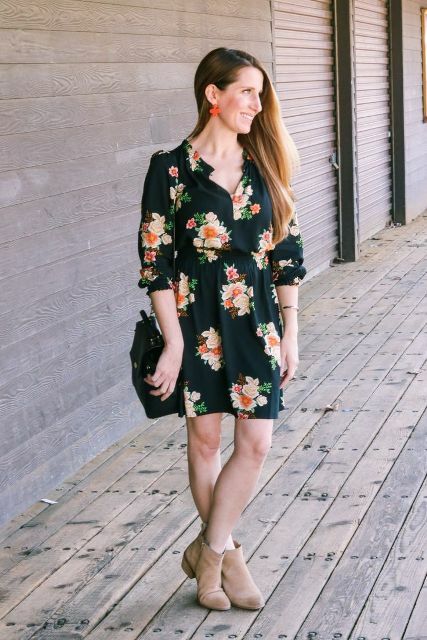 If you are a big fan of bold clothes combinations, then you can take a blue, pink, yellow floral midi shirtdress and combine it with purple high boots. Or you can choose a colorful mini dress and pair it with a turquoise leather bag, oversized sunglasses and beige high heels. For an everyday look you can try to repeat an outfit with a light blue shirtdress with a floral appliqué, a white chain strap bag and hot pink heeled sandals. Or take a sleeveless dress and combine it with rounded sunglasses, a black leather bag, a brown belt and beige pumps.